With everyone posting on social media ‘round the clock, we can easily get cornered into FOMO. But what would it be like to disconnect from social media for 3 years . . . on purpose? In this episode, Chelsea talks about how her social media hiatus started as a result of her depression because every time she typed a smiley face emoji, she felt like a liar. We not only talk about the pressure to have an online presence, but the pressure to present a carefully curated version of ourselves. And ... See More how exhausting faking it can be. Comparison and confrontation are just some of the negative effects of these social platforms, but have we missed the big picture of what social media can be and how it can contribute to meaningful conversation and broadening our horizons? Want to find out more about our fiction? 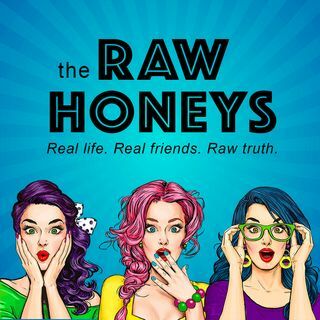 Check us out for something fun to read while you wait for the next episode of The Raw Honeys!